This summer, to commemorate the 75th anniversary of the Battle of France and the Battle of Britain, Christie’s London is proud to present a unique and remarkable piece of British history at auction: an authentic and immaculately restored Vickers Supermarine Spitfire Mk.1A – P9374/G-MK1A. 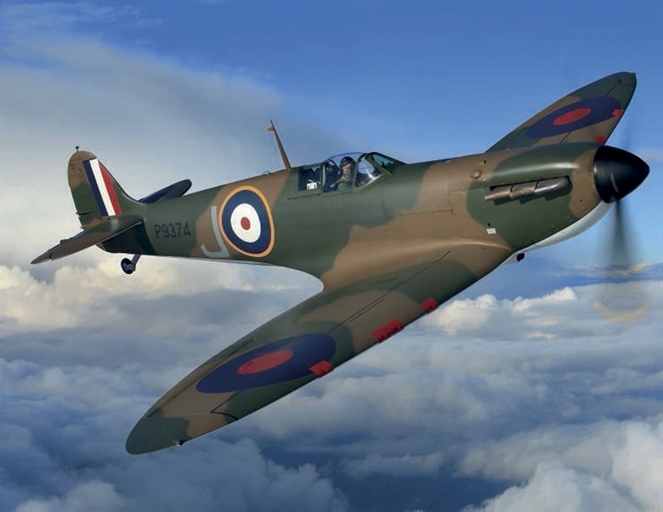 This Spitfire, a thing of beauty but also an iconic war machine that helped save Britain in 1940, and ultimately to win the Second World War, will be offered in The Exceptional Sale on 9 July 2015, with an estimate of £1,500,000-2,500,000. For more on the history of Spitfire P9374 and the remarkable story of its painstaking restoration, see our full interactive documentary presentation, featuring videos, interviews and picture galleries. 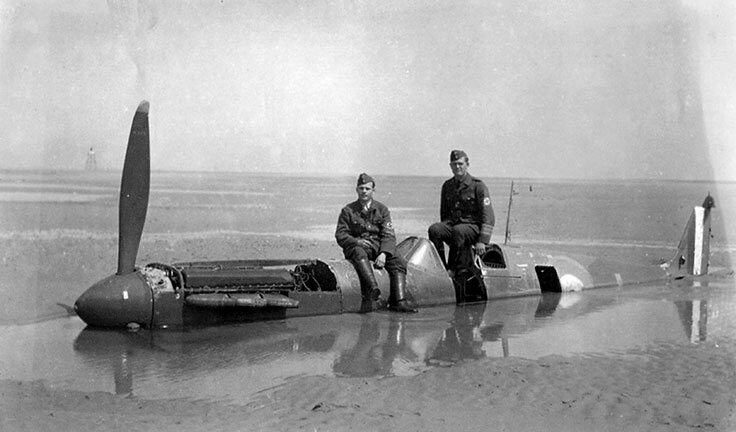 Cazenove was soon captured and taken as a Prisoner of War, while Spitfire P9374 was consumed by successive tides and sunk deeper into the sands. Sadly, Cazenove passed away shortly before the recovery of his aircraft. Post-recovery the Spitfire went first to the Musée d’l’Air at Le Bourget, Paris, and subsequently to further collections until the parts eventually ended up with the Aircraft Restoration Company / Historic Flying Ltd. at Duxford, who have since brought this remarkable Spitfire back to life. Twelve highly skilled engineers have spent three years carrying out what is considered to be the most authentic restoration of an original Mk.1 Spitfire to date, incorporating many components from the original plane into the build.